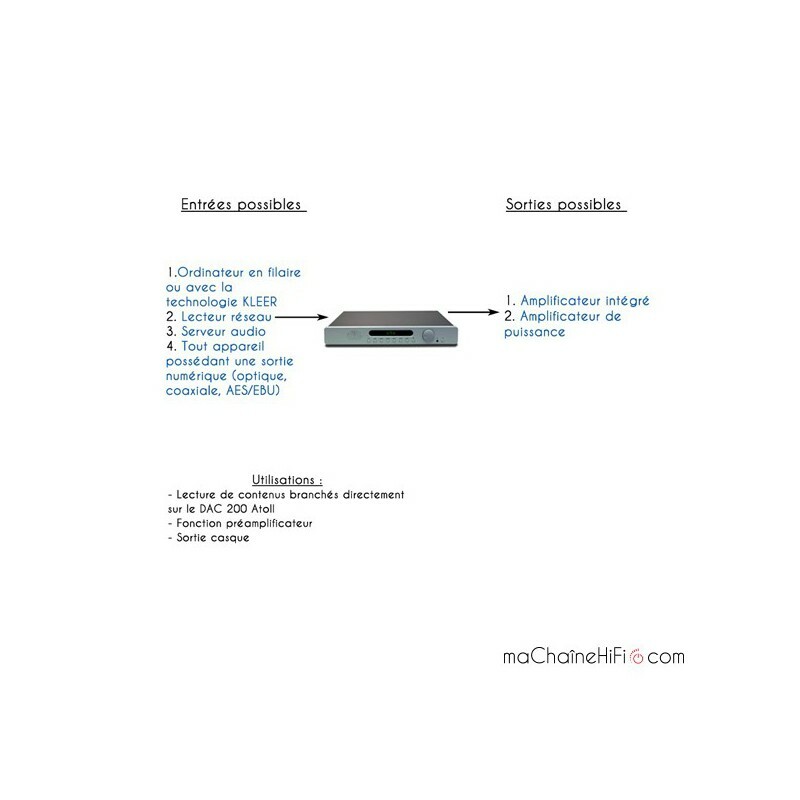 Atoll is a French company that has been designing and manufacturing affordable, high quality Hi-Fi products since its creation in 1997, and the Atoll DAC 200 DAC is a fine showcase of this philosophy. 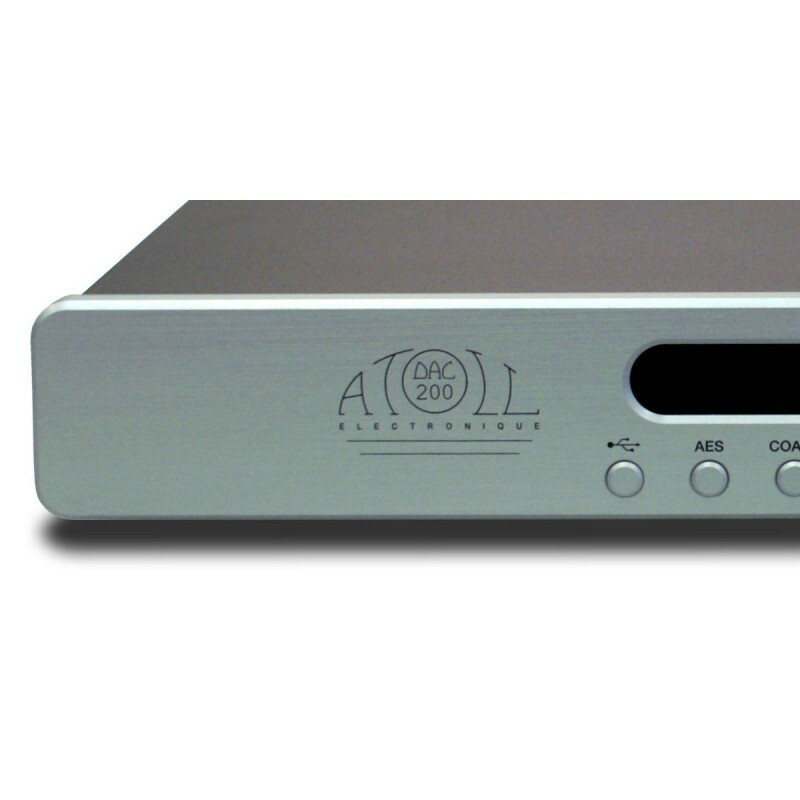 The Atoll DAC200 differs from the DAC100 Atoll in that it is not just a DAC but also serves as a preamp. 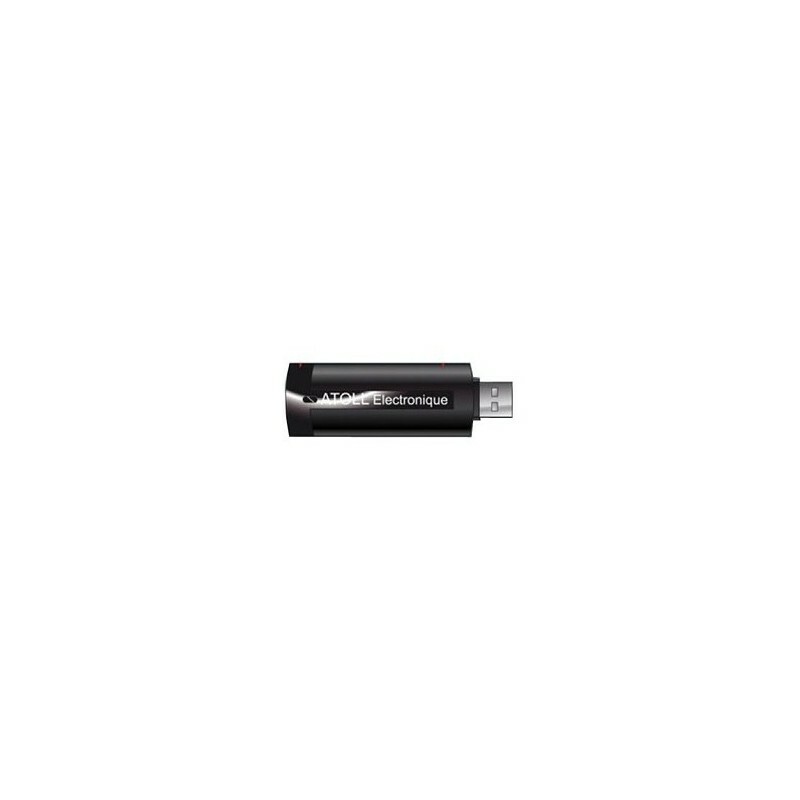 This means that, unlike the DAC100, it can be used with a power amplifier if required. Another major difference is that the DAC200 has an AES/EBU input, a symmetrical analogue output and an additional headphone output. The chassis is very rigid, as it is made of a 1.5mm-thick sheet of steel with folded edges. The 8mm front panel is made of anodised brushed aluminium (silver or black) and is attached to the chassis by screws that cannot be seen from the outside. 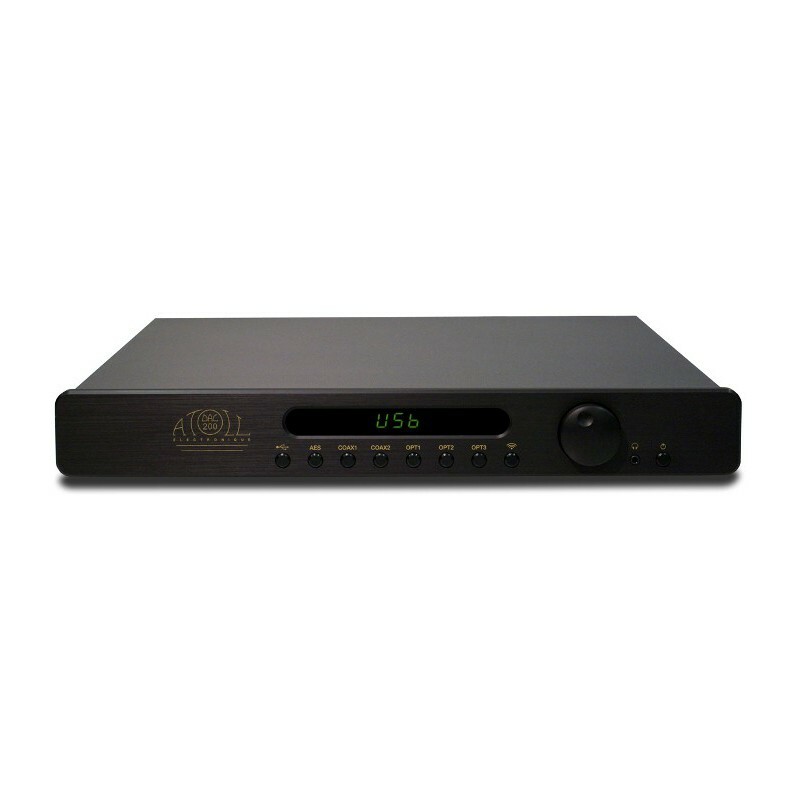 The Atoll DAC 200 is a digital-to-analogue converter with a grand total of seven digital inputs. This puts the DAC 200 front and centre in any Hi-Fi system, as it means it has the capacity to improve the sound quality of all your digital sources. 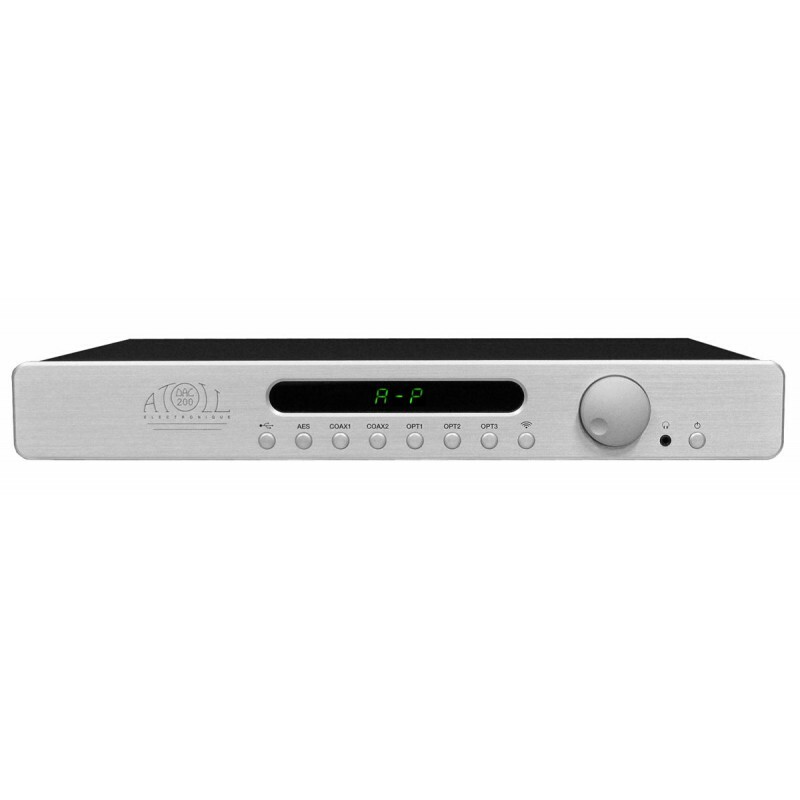 The DAC200 has three optical inputs, two RCA coaxial inputs, one AES/EBU input and one USB input. It also comes with a USB dongle that uses KLEER technology, so that you can stream music from your computer. 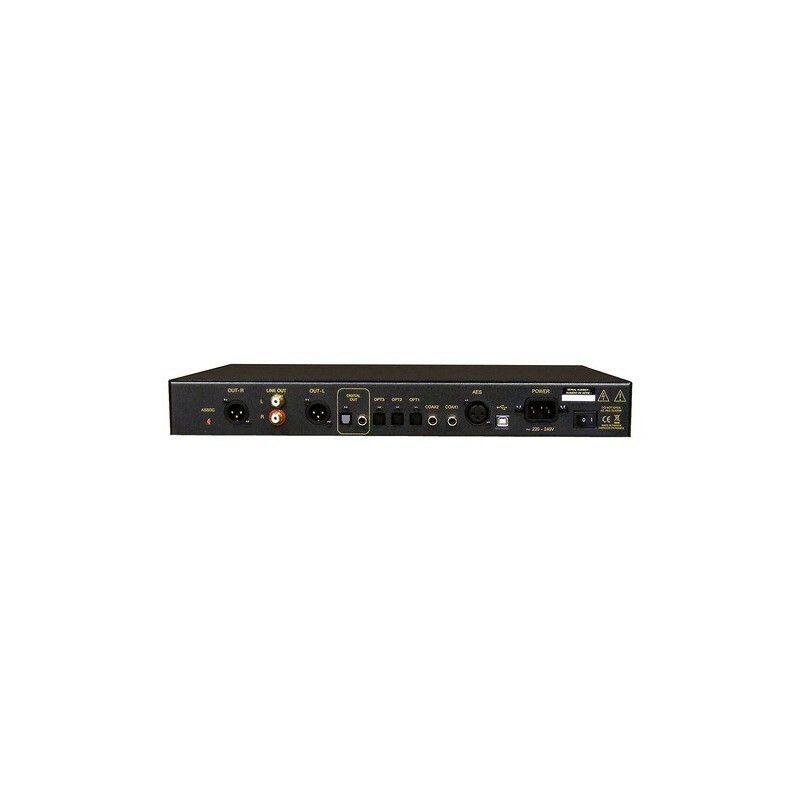 In addition, it has an RCA stereo output (asymmetrical) and an XLR stereo output (symmetrical), which means that these analogue outputs can be connected to an integrated amplifier and adapted to fit any Hi-Fi system. All of the inputs (optical and coaxial) accept a 16 and 24 bit resolution and sampling rates of 44.1 kHz to 192 kHz. It uses a Burr Brown PCM1792 converter. The front panel has a set of buttons enabling you to select the input you need, as well as a potentiometer to control the volume of the preamp or headphones. 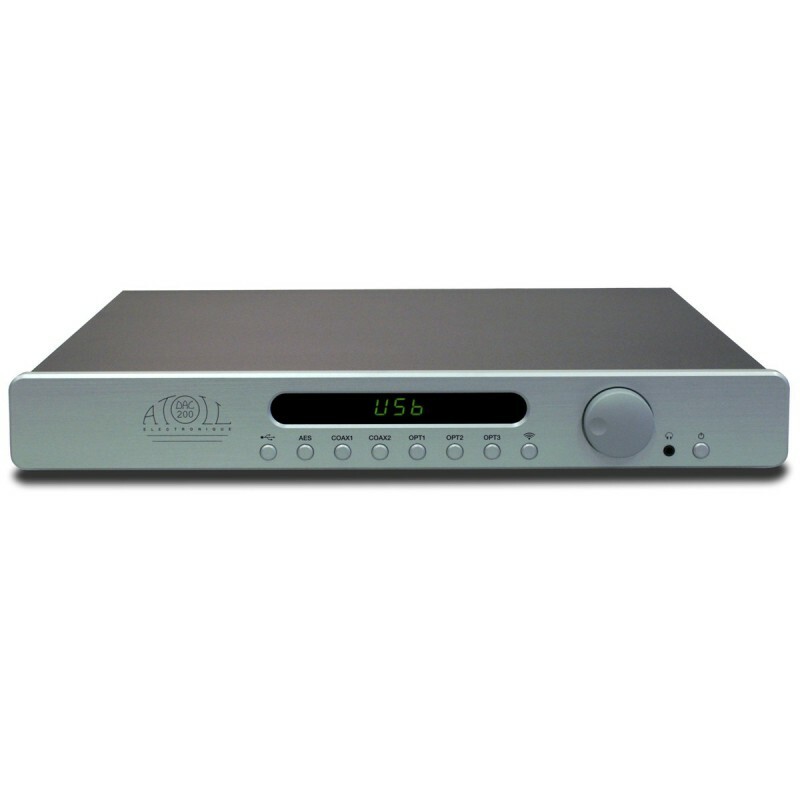 The Atoll DAC 200 also comes with remote control for source selection and volume control. The DAC200 by Atoll is a fully comprehensive digital-to-analogue converter. Its seven inputs mean it has the capacity to improve the sound quality of several digital sources. Atoll is a dynamic brand with a well-earned reputation that it has built up over many years. Its DAC200 is a well-rounded triumph that should be shouted from the rooftops!